Haverick Meats is proud to be the exclusive distributor of the American-made Montague Steakhouse Gas-Fired Broiler in Australia. Contact us for more information. Are you a business customer and want to be supplied by the best? 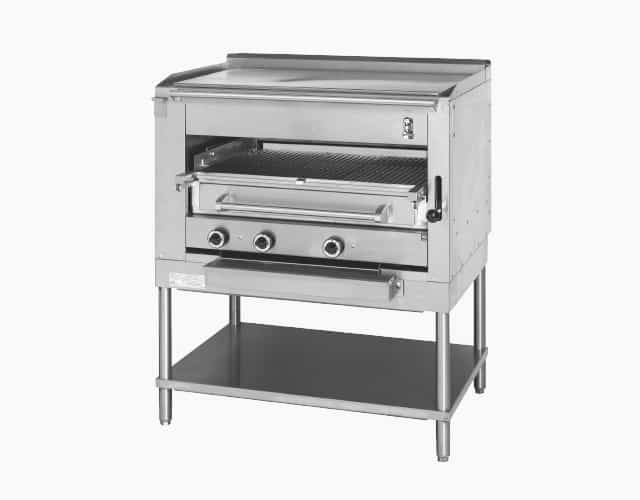 The Montague Steakhouse gas-fired broiler is highly renowned amongst leading steakhouses in the US as the ultimate steak cooker. It’s effortlessly simple to use, and with the ability to cook high volumes of steak to perfection using extreme heat, it ensures minimal moisture loss. The high heat method is highly time efficient, offering ease during peak service periods. Industry News ― The latest news and insider information from the foodservice industry. Follow us to keep up-to-date on the latest from our butchery and the chefs we provide.